Another year, more legal cannabis! 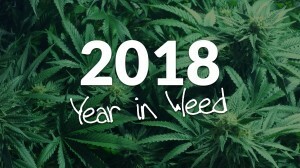 2018 saw a ton of changes in the cannabis industry and support for legalization is at an all-time high. On January 1, recreational marijuana sales officially began in California. The state is home to nearly 40 million people, and the potential cannabis revenue is in the billions. Changing regulations, licensing delays, high taxes, local cannabis bans, and testing snafus caused a less than smooth roll-out of adult-use sales in the state. 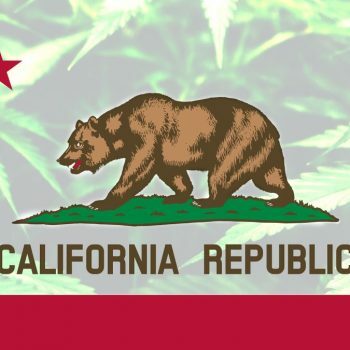 California’s Bureau of Cannabis Control (BCC), charged with issuing licenses to retailers and distributors, initially issued businesses licenses to eighty-eight stores in 34 cities. As of December, the BCC has issued 547 temporary licenses to recreational marijuana dispensaries, still on the low end to supply the market adequately. Only 70 of California’s 482 cities allows recreational cannabis retail stores, but recent changes in regulations will allow cannabis deliveries throughout the state. Massachusetts also began adult-use sales this year, with the first recreational dispensaries opening in November. The U.S. Food and Drug Administration (FDA) approved Epidiolex, a cannabis-derived medication used to treat certain forms of epilepsy, in June. Epidiolex, developed by UK-based GW Pharmaceuticals, is made from CBD and contains no THC. In October, the FDA released a memo advising the U.S. Drug Enforcement Agency (DEA) that CBD has “negligible potential for abuse,” “currently accepted medical use in treatment,” and that any abuse “may lead to limited physical dependence.” As a result, the FDA recommended that the DEA reschedule CBD under its least restrictive category, Schedule 5. On October 17, Canada became the second country in the world to legalize adult-use cannabis. Uruguay was the first country to legalize cannabis in 2013. In June, the Senate and House of Commons passed the Cannabis Act, making it legal for adults 18 years-and-older to purchase, possess, and grow cannabis. Canadians will be able to cultivate up to four plants and possess up to 30 grams of cannabis in public. There’s no limit to the amount of cannabis residents can possess in their homes. November’s mid-term elections resulted in huge wins for adult-use and medical marijuana legalization. Michigan was the first state in the Midwest and the 10th in the country to approve recreational marijuana. The first recreational dispensaries are expected to open in 2019 or 2020. In Missouri and Utah voters were in favor of medical marijuana, a watershed moment in states that have traditionally opposed marijuana use. Missouri had three medical marijuana initiatives on the ballot, but Amendment 2 was the only one to pass with 65 percent approval. In Utah, Proposition 2 met voter approval, despite opposition from the Mormon Church. The 2018 Farm Bill removed industrial hemp from the federal government’s list of controlled substances, legalizing its use as an agricultural product. While the bill didn’t deschedule CBD, it did legalize CBD extraction from hemp. 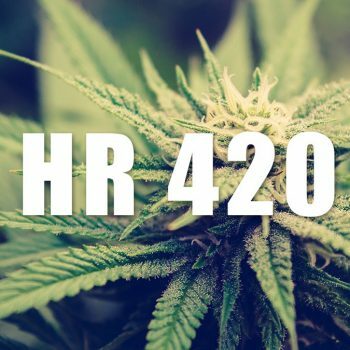 The bill will enable farmers to grow, sell, and export industrial hemp, and opens the door for researchers studying CBD and other cannabinoids. Moving hemp to legal status will make banking and advertising in the industry more accessible, and this could be another step closer to nationwide cannabis legalization. Ready to dive into the cannabis & hemp industry in 2019? Get in touch with Colorado 420 Websites today and make sure your cannabis marketing & branding is on point!